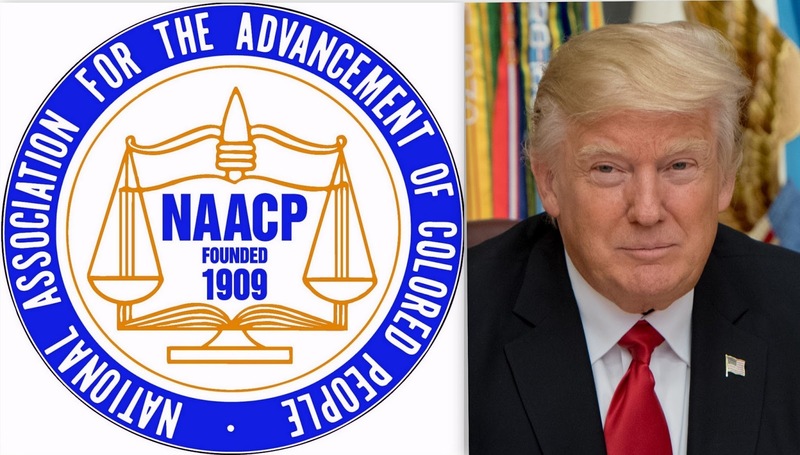 The NAACP issued the following statement after President Trump announced that he will not attend the NAACP’s 108th Annual Convention in Baltimore, Maryland. The NAACP is an honorable organization, #45 is not honorable! We're seeing this more and more every day! We need to take a stand and have him removed from this honorable position asap!!!! WHY IS THE NAACP NOT COMING TO GIVE SUPPORT TO PEOPLE HERE. TOO MANY PEOPLE ARE BEINNING MURDERED AND IT SEEMS NO ONE CARES, ACCEPT THE LOVE ONE'S. COPS MURDERING US,BLACKS MURDERING US. WE NEED SOME SUPPORT FRO THE NAACP. IT MIGHT GET THE TRUTH OUT AS TO WHAT'S BEINNING DONE AND WHAT'S NOT BEINNING DONE. A WHITE LADY WAS MURDER ON THE DAN RYAN, MURDERER WAS FOUND. BLACKS MURDERED ON THE STREETS IF CHUCAGO CAN'T FIND THE MURDERER. WITHOUT OUTSIDE HELP WE ARE DOOM TO MORE BLACJS BEUNNING MURDERED. OPEN LETTER TO NAACP, WE NEED YIUR HELP TO FIND OUT WHAT'S REALLY GOING ON. TO MANY MURDERS, ON ONE CAUGHT. HELP NAACP CHICAGO'S BLACKS ARE WALKIBG AROUND WITH TARGETS ON US. NO MORE NIGHT MURDERED' S DAY,AFTERNOON,NIHGT ANYTIME. SEND SOMEONE TO FIND THE ANSWER WE HAVE BEEN LOOKING FOR DECADES. I would have never extended an invitation, he doesn't deserve a audience! History repeats. Reconstruction was working in favor of freed slaves and free people of color, but the reaction set in and reversed the process and it was like the entire Civil War was a total waste of time and lives.